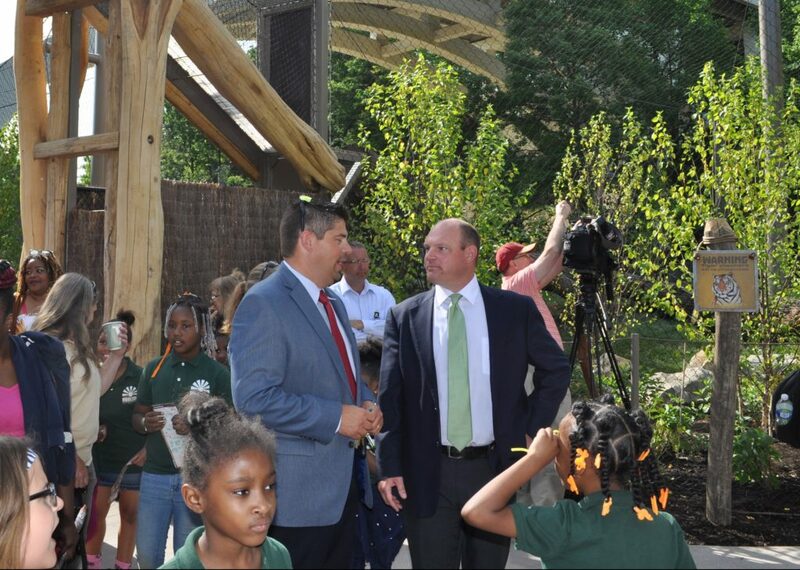 Home/Tiger Exhibit Debuts at the Zoo! The Cleveland Metroparks Zoo debuted Rosebrough Tiger Passage on Friday, welcoming their two Siberian tigers – Klechka and Dasha – into their new home! Following a ribbon-cutting ceremony with the Rosebrough family, donors for whom the exhibit is named, visitors poured in to view the amazing new space that is five times the size of the former tiger exhibit. Following the amazing design from Van Auken Akins Architecture, Panzica Construction completed the Tiger Passage which includes four interconnected habitats where the tigers can roam. Climbing poles, meadows, a stream and soaking pools are all part of the new environment. 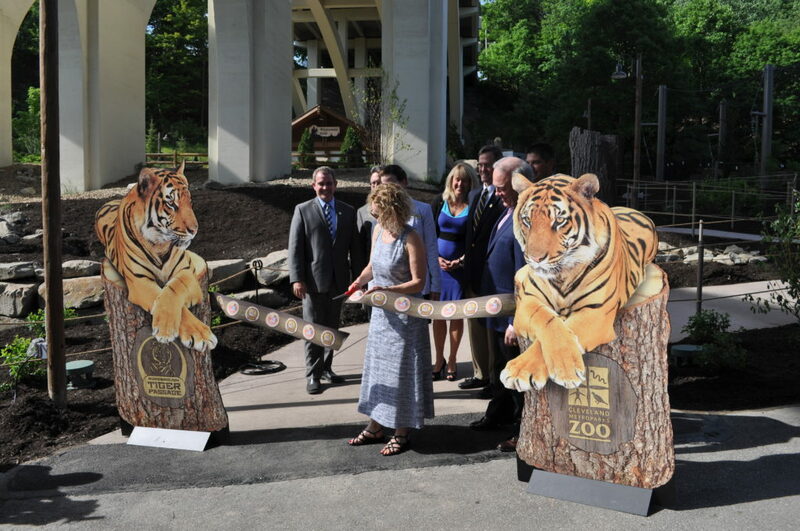 Designed to give zoo-goers an immersive forest experience, two of the habitat connection trails allow the tigers to pass right over the heads of visitors below! 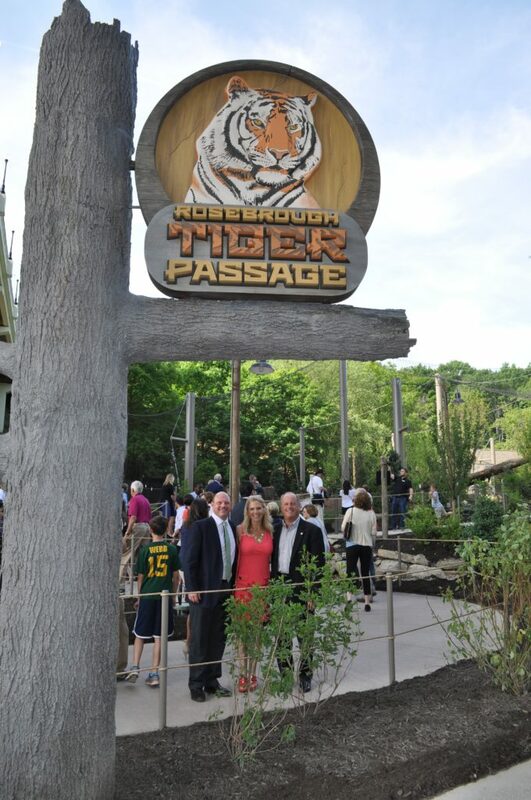 Walt and Carol Rosebrough cut the ribbon to open Tiger Passage. 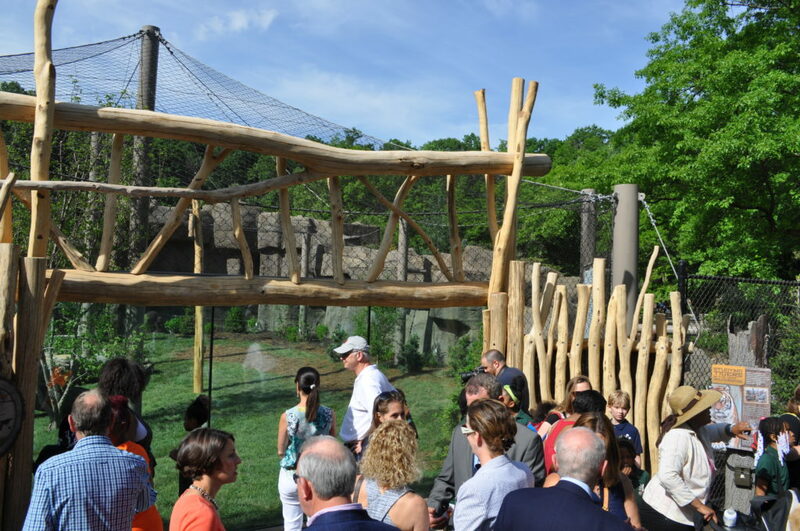 An amazing new habitat for the tigers and the zoo!